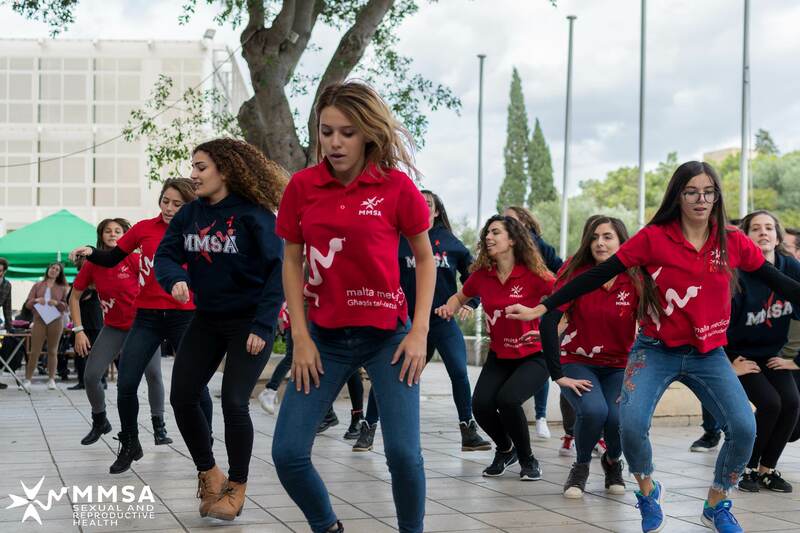 MMSA – Sexual & Reproductive Health kicked off its World AIDS Day campaign with a bang this week, organising the first of three events on Quadrangle at University. 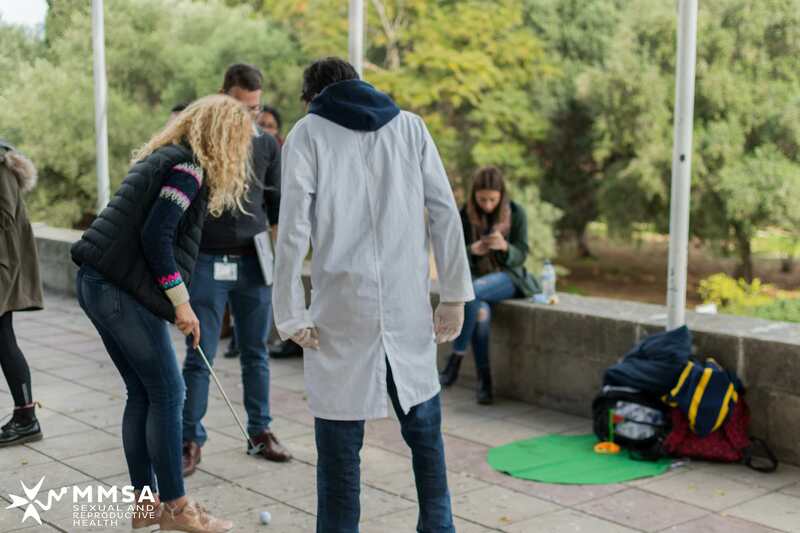 The event consisted of a variety of games and activities; including a ‘speed dating’ variety during which participants were quizzed on their HIV/AIDS knowledge, and a treasure hunt requiring participants to seek retro characters on Quad, discovering their identity and more facts about HIV along the way. 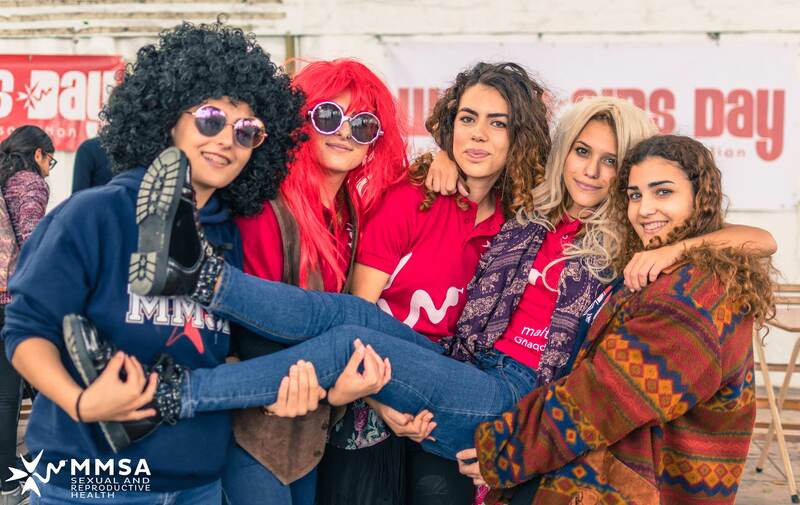 In keeping with the #HIVStigmaNotRetro theme, a retro photo competition was organised; participants dressed up in retro clothing to get in the chance to win jewellery worth €70, courtesy of MVintage. Other prizes included condoms, red ribbons, vouchers, and Ballu tickets. 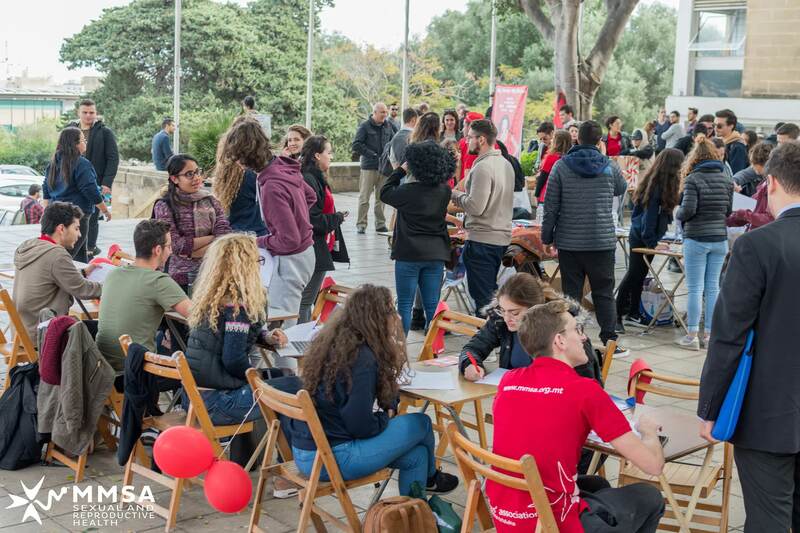 The launch revolved around a large red ribbon, attracting a significant amount of attention from students walking by. This contributed to the outreach of the event; dozens of students participated in the games & activities, not including the hundreds of students who learnt more about HIV/AIDS through the outreaching activities. Join us on the 6 December on Quad during Degree+ hours to further your knowledge on the HIV epidemic, the stigma enveloping the topic, and the steps you can take to end the infection.